While there is truth to that, there’s more to making your decision. This guide will help you identify some of the reasons why you may want to make a job or career change and give you practical strategies and tips to assist you with your decision. The first step is to assess the reason — or reasons — why you may want to make a change. Change can be difficult — it usually is — so you want to make sure that the reason you are considering a switch isn’t something temporary that will fix itself if given enough time. Remember, you want to assess whether the internal and external factors that are prompting you to consider the change are temporary (short-term) or something that could affect you permanently. You should also assess the “temperature” of these factors and how they affect you. Some of them may be more of a minor “inconvenience,” while others may feel unbearable. For example, while you may be working in a dying industry, as long as you have a job, you may not be interested in switching jobs or changing careers. But you’re a frog in a pot of water that is slowly heating up. 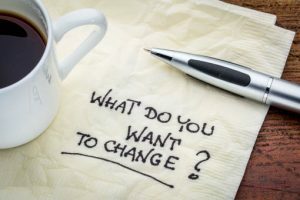 The question isn’t “if” you will eventually be affected by changes in the industry, but “when.” If you take charge of managing your career, you will be in a better position to handle career change; not just react to it. Do you want to change the company you work for or change your career path entirely? Take a look back at the assessment you just completed. Ask yourself if a change would fix the issue or issues you identified. Or are there issues that are embedded in the industry itself. Also, think about how you feel about the actual work you’re doing. Do you still have a passion for the type of work you’re doing, but maybe not in this particular work environment? If that’s the case, changing jobs could improve your situation. You might not need to change careers. There are a myriad of issues to consider before making such a drastic change. 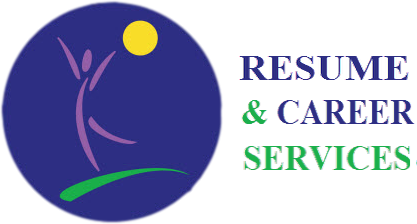 To get the complete listing of significant factors that may impact your decision and a worksheet to help you assess your option, download my Change Job Career Report below. One of the best things you can do, once you have a job target in mind, is to engage a professional resume writer to help you develop a resume for your desired job. Especially if you are considering a career change, this can identify transferable skills that you have to offer and boost your confidence when you see the evidence of your qualifications on paper. Your resume writer can also help guide you in collecting the information you need to develop your new career documents. Be prepared to invest in yourself and the development of this document, because your resume writer will have to spend a considerable amount of time to prepare a resume that demonstrates how your skills, education, and experience apply to your new career path. But it can be a worthwhile investment as a tool as you make a change in your job or career. Get my free comprehensive report, “Change Job Career Report” with several specific important options for you to consider if you are thinking about making a change. It’s free to download. Let’s talk about your score on the worksheet once you complete it. You can reach me here. Visit the Free Resources page for even more resources to help you stay informed.